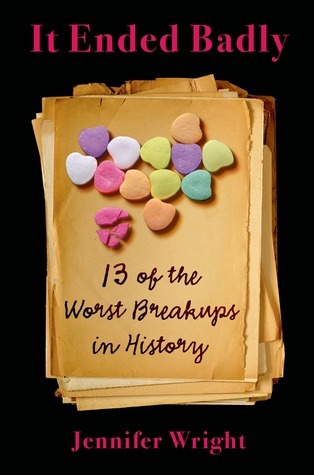 It Ended Badly by Jennifer Wright is a hilarious yet historically accurate account of thirteen of the worst breakups in history. Very highly recommended! One of the best, most notable, books of the year! Did I mention that each of these memorable, irreverent essays is side-splitting-laugh-out-loud-funny and yet still presents all the historical facts surrounding the breakups? True. Not only are you guaranteed mirth and laughter with each breakup story you are also going to learn a plethora of facts along the way. And it is extraordinarily well written! Educational, well written, and funny: a wonderful combination! "It Ended Badly is for anyone who's ever loved and lost and maybe sent one too many ill-considered late-night emails to their ex, reminding us that no matter how badly we've behaved, no one is as bad as Henry VIII." Rather than explain the contents, look at the chapters for just a peek of the wonder that is It Ended Badly. Disclosure: My Kindle edition was courtesy of Henry Holt & Company for review purposes.